There would surely be no more popular World Cup winners than the Netherlands. The country that has produced so many great footballers and such a distinct, wonderful way of playing the game is still without a World Cup win. So, is anything different this time around? Probably not. The Netherlands have a wonderful array of attacking talent but a slightly suspect defence; so we have all the required features of a classic Dutch show – wonderful football in the group stage followed by an alarming collapse when things get serious. They had amongst the most impressive results of any of the 31 sides who qualified for this tournament. In an admittedly weak group, they had a record of eight wins from eight games, 17 goals scored and two conceded. They maintained a shape throughout qualification that was described as both 4-2-3-1 and 4-2-1-3 – in this case, the notation is probably not important; the basic shape is clear. The formation may be settled, but the starting XI is not. Wesley Sneijder, seen by most as the key player in this side, only started two of those eight games because of injury. Both Arjen Robben and Rafael van der Vaart were in and out of the side, whilst Robin van Persie managed to pick up a long-term injury almost as soon as qualifying was over, but is thankfully now fit. The attacking player who started the most games, Dirk Kuyt, may find himself with a place on the bench. The reason for that is the delicious prospect of a Sneijder-Robben-van Persie-van der Vaart quartet, which would unquestionably be the popular choice. And for once, public desire to squeeze four out-and-out attacking players into the same side might just work – all are versatile, offering a plethora of attacking options, and in theory, it should work brilliantly. “In theory” is the key, however. Those players have never started a Holland game together as a front four, although they were on the pitch as the same time for a blistering 33-minute spell against France in Euro 2008, one of the most remarkable international performances in recent history. Incredibly, Ruud van Nistelrooy was also on the pitch – and if they can work together that well with another striker on the pitch and just one holding midfielder, surely they can work as a front four in a 4-2-3-1 for Bert van Marwijk. There is a suspicion, though, that Kuyt will get a starting spot – he offers a more disciplined, defensively aware option in the front four. Most likely for the chop would be Rafael van der Vaart, and then Bert van Marwijk would have to decide how to play his quartet – van Persie or Kuyt could play upfront, with the other three behind, but they offer two quite different options; van Persie drops deep in a false nine role, whereas Kuyt is more focussed on holding the ball up. The former seems the most natural option. The friendly against Ghana showed the fluidity of the front four. Sneijder (the central playmaker) and Afellay (the left-winger) have switched on the near side, whilst van Persie (the striker) and Kuyt (the right winger) have switched on the far side. The system is a ‘deliberate’ 4-2-3-1, rather than a system that started out as a 4-4-2 but evolved with the wingers pushing on and one striker dropping off. The four front players are happy to rotate, as seen on the right. This is also key defensively – when Holland lose the ball the front four are not obliged to return to their starting position, they simply move to the zone closest to them if the nature of the attack has taken them off-course. The two central midfielders will be two destructive players, Mark van Bommel and Nigel de Jong. De Jong comes short to receive the ball from the central defenders slightly more often, but also charges forward and attempts to link up with the forwards more – although don’t expect much of a goal threat from the central midfielders. The back four now looks fairly certain to be, from right to left, Gregory van der Wiel, Johnny Heitinga, Joris Mathijsen and captain Giovanni van Bronkhorst. Slightly unusually for a Dutch side that has often featured a central midfielder dropping back into the defence, or even a back three, there is relatively little of note about the defence – the centre-backs stay central, the full-backs look to get forward and provide an outlet for the midfielders. Generally only one of them push forward at a time, although with two holding midfielders in front of the defence, it is not suicidal if they both get forward. There has been speculation that this is a slightly more pragmatic, less spectacular Netherlands side than usual – but that may be, as with Brazil, a case of viewing their previous World Cup displays with orange-tinted glasses. The key to the success of this Dutch side (in purely tactical terms) will be the organisation of the defenders. The attacking players will surely score goals, and you know what you’ll get from the two central midfielders – battling qualities and reliable, simple distribution. The back four are relatively weak players individually, maybe the weakest of the true contenders for this competition. As always with defending, though, it is not so much about individual quality as it is about cohesiveness and mutual understanding. If the Dutch back four can work well together, they have a real chance of wining this competition – but then that wouldn’t be the Dutch way, would it? Good article mate. However, am I alone in thinking Van der Vaart should partner Sneijder in central midfield? You’d have a Xavi-Iniesta combination as the side’s heartbeat, an explosion of creativity and intelligence right where it needs to be, in the middle. De Jong would offer insurance and they’d both be liberated to play from there. Both are intelligent players who would help press the opposition and hound central midfield opponents as well – you only have to look at Euro 2004 to see just how great a chemistry exits between them both, and they’ve both had excellent seasons at their respective clubs. They are too different from Xavi and Iniesta for that. Sneijder plays higher up than any of those two and van der Vaart higher still. Besides, their personalities do not match the ones of the Barça players, which means that you’d end up with something more of a Lampard/Gerrard situation. Going off on a tangent here, but I think Lampard and Gerrard would work fine together as long as they had a destroyer behind them. Carrick is a bit weak for that though. Also having the two of them side by side means that they could have their respective teammates; Ashley Cole and Glen Johnson to their outside. No, I disagree. The problem with Gerrard-Lampard is that Gerrard does not have the tactical discipline to complement Lampard. Lampard looks to float around, linking play and penetrating defences with killer balls, while Gerrard would just bomb everywhere. Problem was, neither player cared much for tactical duties, and central midfield would be left far too exposed. With Sniejder and Van der Vaart, you have two Dutch players schooled in the Cruyff way, with a footballing intelligence that would ensure, like Xavi and Iniesta, that tactical shape would not be lost yet creativity maintained. They’re two wonderful players and would light up South Africa is paired together. Interesting. We disagree. I think Gerrard is a better player that you give him credit for. We’ll see in time. The Dutch attack can compete with that of Spain and Argentina, but as you have pointed out, their defence is weak and even Argentine defence might turn out stronger than theirs. 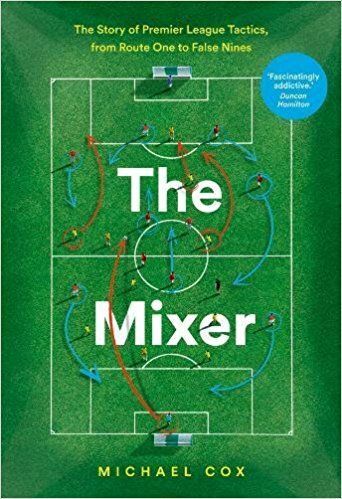 I dont remember reading anywhere else about their attacking quartet (I would also prefer V.D.Vart over Kuyt)called as a’Fab four’, but its an interesting and a nice ‘call’ I must say. At least upto the Quarter finals they are going to have a killer Fab four, as long as their defence can hold up. Is Giovanni van Bronkhorst the weak point at left back? Not especially mobile and not a great tackler. I’ve seen teams target him as the weak link in that defense. A Holland vs Brazil would be a dream final (Brazil of Europe vs the original Brazil) with both teams attacking and we can expect a goal fest. Hope this translates to reality. If both Brazil and Holland win their groups, it’ll be a quarterfinal match, I reckon. Brazil a attacking side? OMG! I think you don’t see any match from them since the Socrates-Zico-Falcao Years. You will see a team that is more like to the Inter in the Champions League than a “goals fest” team. “The Attacking Brazil” now is just a dream. Nice analysis there. i’m keen to seeing how the ‘fab 4′ would work out this summer. However i’ve got a question..
During Euro 2008, if i’m correct, the formation was a 4-2-3-1 as well . However, the 3 would consist of VanPersie/Kuyt/Robben/ SNEIJDER on the flanks, with VDV in the middle. What I’m tryin to say is that, Sneijder was performing well on the flanks at Euro 2008. This season, with Inter, he has excelled as the playmaker in the middle. Which is the position do you think Sneijder should play this time round at South Africa ? The chief central playmaker or as a winger ? Would be great if you could share some insights to this. Surely it matters little who permanently occupies the central playmaking position since both the ambidextrous Sneijder and left-footed Van der Vaart can swap positions between left and centre. Then you have Robben, who although a different kind of player and one who will be playing slighlty wider and more advanced than the other two, has ample experience of playing on both flanks. Like ZM says, as long as each member of the quartet falls into the nearest convenient positition in a front four during the defensive phase ( a 4-2-3-1), assymetry or lack of fixed positioning becomes less of a problem. Sorry, forgot to include my name above! Let’s not forget Eljero Elia, who’s looked like an incredibly exciting young attacker during qualifying and friendlies. Does he deserve a spot in the starting XI? Would you drop Van der Vaart and/or Kuyt for him? I agree that Elia should be considered, but I like his change of pace potential off the bench. If you have Kuyt in there all game, then bring Elia on in the 60′ or so…he could drastically change the picture. How would a defense be able to deal with Elia sprinting down oneside and Robben on the other? After dealing with a traditional striker like Kuyt, I think defenses would have an impossible time. And I think that effectiveness comes from him being a late sub instead of a starter. They are not a world class defence, but they do run hard. The USA team are weak, but workman like. I expect that is the sort of defence which would upset the Dutch the most. If Elia really did cut through them that easily then things are looking good for Holland. In theory. Always, in theory. Kuyt will start, in the same position he played yesterday, for the same reason he always starts at Liverpool. Managers love the work ethic, and van Marwijk will want to protect van der Wiel’s charges forward from right back. Also, Kuyt’s rarely shone off the bench for either club or country. Excellent article as always and a great read. I’d expect Kuyt to start up instead of van der Vaart for sure. That said, I’d like to see the five of them in a team and one of the holding midfielders dropped (only de Jong, surely? ), but the weakness of the back four probably means both of them are a necessity. Also, how remarkable is it that van Bronckhorst is STILL playing? i saw the game on television and the Netherlands are very impressive. okay Ghana was very bad, but the attackline with Sneijder, van Persie, Kuyt, and Afellay was good and improved with van der Vaart (Robben wasn’t playing). vdV and Robben are a little more egoistic players, but i don’t think that will be a big problem. Kuyt is robust, and Afellay a great choise if van Marwijk wants to switch between 4-2-3-1 and 4-4-2. But the centre backs are maybe a weak point, Ghana was never a challenge. As always the Netherland will make a great start, but how will they perform in the knock-out–stages? Watched the second half of the Dutch last night. Schneider is in excellent form and is the fulrum of the team (somewhat obviously) playing in the “10″ position, or in the middle of the three. Affelay and Kuyt either side of him. Schneider rarely touches the ball twice in attacking movements, as Gullit rabbited on about during the Champions League final coverage – always making extremely quick (usually forward) passes first-time to stretch opposition defenses – a joy to watch, as was his wonderful volley from a corner. Affelay strikes me as a Van Der Vaart-lite, without having seen him too much. He’s decent in build up but I think the commentator said he had yet to score a goal for the national team. Kuyt on the other hand scored but for the entire second half did very little, the ball didn’t get to him much, he held his position and when he did get it, he was less than spectacular. His endless running wasn’t really needed against a clumsy-bordering-on-dirty Ghana team. Eleria seems to have emerged as a more skilful version of Babel, and they still have Huntelaar on the bench if they need to throw someone else in the box, but part of me thinks that he doesn’t really fit in (possibly doesn’t fit in at any big team as an out and out poacher). Its a pretty exciting array of attacking options nonetheless – I think they would be best off keeping the formation as rather than screwing with it now to fit all the players in because they are all fit at the same time. I still think Kuyt will start a knockout game against a Cole/Evra/Maicon/Ramos style full-back. bruv he is dutch not german – it’s sneijder. Hahahaha this is funny. btw thanks for the analysis ZM! True. I always wonder whether TV commentators should have to pass a test to show they can pronounce the players names with a minimum of correction before entering a transmission booth. Oooops! Dutchies won’t like that. What did you think of v/d Wiel? He looks like a very talented right back, if he shows his excellence during the World Cup I can see him move to a bigger club from Ajax. For me v/d Wiel has the potential to be the best Dutch right back ever. He’s an incredible talent. Van Bronckhorst is the weakest point in this team. I’d rather start Braafheid, even though he hasn’t played much this season for Bayern and Celtic. I’m not a big fan of Heitinga either. Boulahrouz has always performed quite well for Holland so I’d start him in defense. I’m not a big fan of Van Bommel either. He’s not a real defensive midfielder in my opinion. But we haven’t really got anything better for his position (Engelaar and De Zeeuw aren’t real good defensively either and Schaars hasn’t really been great for Holland as of yet, although I see him as a new Cocu). What I missed in the analysis was the winger’s habit of cutting inside. This wouldn’t be a real problem if we were to have a v/d Wiel type on the left, but Van Bronckhorst doesn’t have the speed and fitness to be running up and down the flank all game. I’d play Robben on the left for that reason, so we’d have someone who can keep the play wide (and obviously he can also cut inside). Right back hasn’t been the strongest point of the dutch team in recent years, so van der Wiel may very well be the best in a long time. Still, I thought the same about Heitinga when he first showed up and before he insisted on playing in the centre (something oddly common in dutch full backs, they frequently prefer to play in the middle and refuse to go back to the side). I don’t really rate Boulahrouz, but in any case he is definitely better in the middle than in the full back position, where he too often is exposed by quick and gifted players and starts making too many fouls. I think van Bommel has the advantage of adding a strong personality to that midfield, besides the gamesmanship that de Jong misses. With the front four not being as defensive (Kuyt is the one who works the most defensively), it is important to have a strong personality there. Besides, being son in law of the national coach probably helps. V/d Wiel is way more athletic than Heitinga and more skilled too. That, and when he was playing in the center his first matches for Ajax he was actually very good at taking the right position. He looked a bit fragile back then, but that’s not the case anymore too. He’ll go a long way, I think. I think Boulahrouz is a better defender than Heitinga. More mobile and smarter. It’s a shame he hasn’t played much though. My problem with Van Bommel is that, like I said, he really isn’t a defensive midfielder. He is actually a two-way midfielder, the role he also plays for Bayern (who really play without a real defensive midfielder and instead have Demichelis come up from behind). And I also think his passing is a little overrated. To me he is better when he can make runs from the midfield into the box (the role he played back at PSV in his final runs when he scored about 15 goals and gave about 15 assists in the league). I would also play Kuyt, btw. He brings some power our frontline lacks without him. That and he will be very valuable in picking up the likes of Maicon, Ramos, Lahm, Cole etc. Funny enough, I think that the inclusion of Kuyt would be the key factor in the way Holland perform in this WC. He provides enterprise down the right, appears brilliantly at the second post and can score with either the feet or the head and on top of that he works extremely hard while both attacking and defending. On top of that, by allowing van der Wiel to overlap, his inclusion can provide Holland with a two-strikers option when attacking down the left: Robben crosses and van Persie and Kuyt appear in the box. Let’s see what van Maarwijk does during the WC and if he will resist the public pressure to play all the stars. It didn’t end up well with Brazil in Germany. I also don’t like van Bommel much, not the least because of his personality. Still, he can add some needed steel to the formation and even without being a pure holding midfielder, he can still do well together with de Jong. Not an ideal solution, but I think a midfield of de Jong together with Schaars or de Zeeuw would be too soft and Engelaar is not really that good, in my opinion). I don’t really know what to make of Boulahrouz, to be honest. He is hard working and when he manages to keep the concentration and composure throughout the game he can be impressive in the centre (more than on the right side), but he is too prone to drops in concentration and he makes too many fouls too my liking. I think it strongly depends on his present form, which is something I cannot judge since I haven’t seen him much recently. Heitinga, as I said, looked like a very promising player in the beginning, but he hasn’t developed much. Maybe he could have been a very good full-back (I see van der Wiel more as a very promising wing back), but he opted to be a good (at best) centre back. The way he and Mathijsen will deal with the opposition will be important and, in that aspect, I can see why you’d prefer someone who could drop back to join them in defence instead of van Bommel. Van Bronkhurst can surely be no worse than Braafheid. Braafheid had a horrendous short spell at Celtic, including one of the worst hand-balls to concede a penalty ever. Flew at the ball like superman. In fairness, he is alright going forward but can’t defend or doesn’t have the positional sense to save his life. Considering defence is Holland’s weakest area I suspect the experience of Giovanni should be preferred. Seedorf? Pretty please, that guy has ruined way too many games for the Dutch team. He doesn’t defend, demands to be the team leader, and loses the ball all the time. Seedorf is the prime example of a player that does not fit in an attacking Dutch system. He can play well with seven defenders behind him –> Italy. en el futuro realizaras algun analisis de españa? in the future by analyzing some of Spain? Having grown up drooling at the Dutch teams of the ’70s I would love, LOVE them to go far this time around – their football can be so entertaining. Also, don’t forget, once he found his feet, Heitinga was excellent for Everton this past season. But Kuyt…no thanks, the ‘big 4′ for me all day long. Fantastic article ZM, but I would think that Spain winning 10 out of 10 qualifying games, and scoring 28 while conceding 5, is a more impressive feat? Forgot Spain got 10/10 too. Cheers, will edit. no disrespect to VDV, but he is not up to the standard of the other three and i i think kuyt and affelay could do much more for the dutch. first, i dont agree that VDV is versatile. VDV is a player that only plays good in a slow-controlled tempo(like barcelona), which may be good against weak sides. but imagine when the dutch are behind and tackles are flying everywhere, VDV would very easily get in the “invisible mode” and be nowhere to be found. and ZM also mentions how VDV can go to the left, but the fact is VDV has no speed or ability to get past his man to put in a cross/pass,which will again hurt the dutch specially since the dutch are a counter attacking team. i think speed is very important to the way the dutch play and i think it will be crucial for them to have players on the wings who can run and dribble past their markers if they want to get anywhere. now ofcourse kuyt is not such a great dribbler. but he is tactically a great player and knows how to counter and can even score headers from setpieces. How is VDV not up to the standard of the other three? He excelled against Mexico, and when he came on against Ghana the game was tipped in the favor of the Dutch. In fact, if Kuyt HAS to play, then I’d take off Sneijder for VDV. I have that much faith in him. How can you think Afellay is even up there with VdV? Afellay is what we in Holland call a ‘postbode’ (Mail carrier). He keeps running and and running with the ball without playing it to the free man and thus actually slowing the play (while he is faster than VdV on the first meters). To me VdV has better skills, is smarter and more mature than Afellay. VDV is selfish? If anyone’s a team player it’s VDV. He is a team player for his type of position, but Affelay is even more of that, precisely because he is a “water carrier” for the team. Affelay is a “mail carrier” – as in he holds onto the ball too long instead of passing. The “water carrier” is traditionally a holding/defensive midfield player who does the hard work for more talented players – as Cantona described Deschamps. That is not what Affelay is. The four attacking players touted by RvP would be incredibly fluid and a very difficult proposition for any defence (much like Tevez, Rooney and Ronaldo you have previously mentioned), but would take away the very effective closing down from Kuyt who has performed this job admirably in key CL games for Liverpool. If we are to see Bert start those four, I expect it will be in the group stages. Defensively the Dutch look to have problems, especially after Edwin announced his retirement from International football – a world class goalkeeper could have made a real difference and Edwin is still up there with the very best. If everything goes as you would expect on paper, they will meet the Brazilians in the quarter final which would promise to be a very interesting game. I fear the Brazilians would come out on top purely as their defence is likely to be less leaky, as much as I hate to say it. I think John Heitinga has been somewhat of a revelation at Everton this season. He successfully shackled the two best strikers in the league in the games against Chelsea (Drogba) and Man Utd (Rooney), which was probably a key factor in Everton’s victories against both sides. After a dismal season at Atlético Madrid, I think he has come into form at just the right time. With the exception of van der Wiel, the defence all have over 50 caps each, and seem to exude experience on paper. Perhaps the back line is not as weak as some suggest? Who burned him? Suarez, Douglas, Dembele, Ruiz… You’re better off asking who didn’t. From watching how Inter played this season, I think Sneijder is more willing to track back and chase around the midfield. He hounded Xavi quite well during Inter v Barca game. However, Robben and VDV are unlikely to track back, V.D.Wiel is still a bit inexperienced, V.Bronchorst is slow, and the center backs are unreliable. I can see Holland concede when opponents exploit their weakness on the flanks, especially against the likes of Brazil, Portugal, and Argentina. The two defensive midfielders have a huge task ahead. Excellent article again, but the comments are easily as interesting, with many different views. You can imagine the discussions here in Holland, there isn’t a single person who agrees with the person next to him. The only thing I’ve missed here, is some appreciation for Mark van Bommel. He’s actually branded as a ‘destructive football player’ in the article, while he is that much more. Looking at the starting XI, Van Bommel is actually the only player that is irreplaceable to the system. Without Van Bommel the team seems to play in a 4-1-0-4 formation. In Holland’s formation Van Bommel connects the lines and his accurate and powerful low passes are key to enabling the creative players to excel. derek, i completely agree with you. van bommel has had a bad press here at times, painted as an ungentlemanly thug at times. sure, he’s capable of being this, but there’s so much more to his game, defensively and offensively – i’m a huge fan. I was going to write something about that. Labelling MVB as a destructive MF is as simplist as saying that Crouch SHOULD be keeper because the tallest guys in the teams ARE the keppers. Just one thing. He played in Barcelona and sorry, but if you don’t know how to care the ball you don’t play there. And also, he have a great long shot. You are right almost always but really, MVB might be one of the most hated player for ZM. PD: I hate Guti for example. It’s normal to don’t like some players. Afellay seems a much improved player this time around. I am sure he will be more inventive than Kuyt and provide more natural width than Van der Vaart. I fancy him to get a decent amount of playing time. Also I am not sure the wingbacks can manage without some defensive support from the wingers. The cover from midfield won’t help if the ball is moved out to the flanks early. I think that shades the argument towards the inclusion of Kuyt. Great stuff as ever, Zonal. One question bothers me, I hope you could provide an answer. Why van Marwijk doesn’t use one holding midfielder instead, to give Kuyt/Van Persie duet a chance? Sneijder proved he could track back effectively to back up either Van Bommel or De Jong. Meanwhile Kuyt likes to drop deep and pick the ball up. He could hussle opposition defence too, thus adding character to Dutch flair up front. In case they’re afraid of the weak defence, alike Argentina, the fullbacks (which aren’t that good attacking anyways) should remain behind. Thus, a 4132 with Robben and Van der Vaart free to interchange at the flanks. Any thoughts? I think we’ve seen in 2008 that they actually like to play the counter-attack, so overcrowding the attack is not necessary. You need some space to work with. Besides, as has been pointed out, Van Bommel is not a pure defensive midfielder anyway. Exactly. V/d Wiel is one of the very best attacking right backs around. No Maicon yet, but already amazing. I have a question: what did you mean when you said: “The system is a ‘deliberate’ 4-2-3-1, rather than a system that started out as a 4-4-2 but evolved with the wingers pushing on and one striker dropping off.”? You meant the player in the middle (snejider) is more a midfielder than a striker? Or are there other differences. i find it bizzarre that one week unreserved praise is being lavished on mourinho’s inter, and the next we want holland to succeed because of their “distinct, wonderful way of playing the game”. i thought i was hearing that it simply didn’t matter how you played – winning is everything, how you do it means nothing. perhaps it was all just a bad dream, and the majority of football fans are soulful people after all. “If we can work on giving everything for each other the whole tournament I believe we will be unstoppable”. this, for me, is the crucial and very significant ‘if’. if the fab four do give everything for eachother, then they can make up for the absence of kuyt’s work-rate. having four technically excellent players instead of just 3 means they’ll keep the ball longer anyway, and there’ll be less tiring defensive work to do. i’d love to see holland start with the fab four, in a tough opener against denmark, and see how they do. it would be fantastic if such brilliant, gifted players could become winning players together, but it all comes down to that ‘if’ – sheer desire, hard work, and teamwork will almost always overcome technique at the highest level. 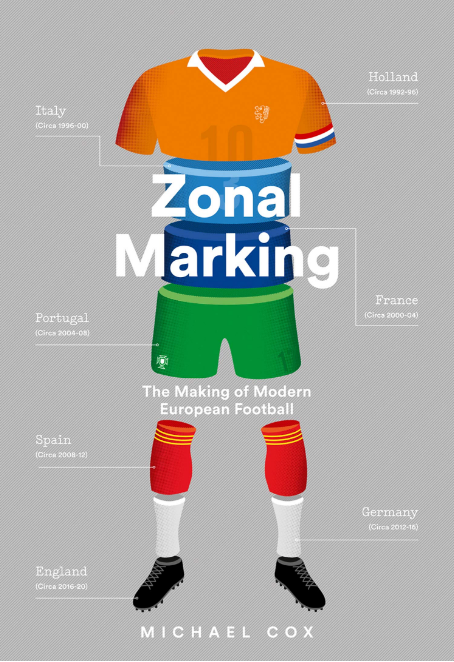 along with spain, holland are flying the flag for skillful, imaginative football, and i really hope this cause, if the prospect of winning the world cup alone isn’t enough, will spur them on to give absolutely everything, in order to become more than ‘just’ successful. But you can appreciate a good defensive way as well as out-and-out attacking football. There’s no harm praising a defensive team when they win a trophy, and then appreciating the style of an attacking side. of course you can appreciate great organisation, teamwork, reading of the game etc, and praise them for winning because of those skills. but you cant say that winning is everything in competitive sport, and how you do it counts for nothing, only to back a team because of the attractive way it plays when the next tournament comes around. if you think winning is everything in sport, and that there is no room to criticise whoever wins, (as was argued by the majority of posters after the CL final), then you don’t have the right to back any team before a tournament begins. you can only come out with unabated admiration for whoever does actually win after it’s finished! you certainly don’t have the right to back a team famous for failing to win despite having such great talent at their disposal, citing a love for the way they play the game – this is precisely the sort of team you should not be backing, if winning is all that matters! it’s a grotesque and maddening self-contradiction! Who is to say that Holland won’t win? Attacking teams have won the Champions League and the World Cup before. Part of the fun of watching the games is that park-the-bus counterattack football, possession-at-all-costs football and all out crash-the-goal attack football all work in different situations with different implementations giving each match a unique feel. Just because Inter won it would be silly for all teams to try that style of play. Holland don’t have the personnel for that, but do have the people to make a more positive team. Holland will have one of the best benches going into the tournament. Very impressive starting XI as well, despite their defensive shortcomings. Those shortcomings may be overblown though. Heitinga is a quite underrated defender, Van Der Wiel is a fantastic young talent and Mathijsen is that reliable CB that can almost always be counted on. The only glaring weakness is Van Bronckhorst. Don’t really understand why Van Marwjik kept him as captain, or in the squad for that matter. More importantly, they’ll have the protection of De Jong and MvB in front of them, two of the best players in Europe in their respective positions. In theory, this team should do very well but games aren’t decided on paper. In the end, it could well be the attack that lets this team down instead of the defending. Van Marwijk stresses a team’s balance so I don’t expect Holland to be just about attacking the opponent. I agree Cris, you look at this group of players major losses (portugal 2006, russia 2008) and its not their ability to defend, but their ability to score goals that led to their exit. A wonderful dutch side, if they play with these great four players. Each of them is adding something else. Snjider add direct fast passing an crutial runs to the goal, VdV add dribblings and intelligent shots and passes, Robben and VP are incredible fast and nearly unstoppable. But as long i don’t understand as much about football as many of you here, i would really like to know: How on earth could Russia beat them in 2008? Would what Russia played in the Euros the perfect tactic to beat them, or was it just a bad bad and the typical dutch drama? What happened is that one of our defenders (Boulahrouz) baby died after birth. Three days before the match. Van Persie, Van Nistelrooy, Van der Sar and others who are close to him went to the hospital and spent all night there, mourning and offering support. They canceled training the next day and some players even suggested to not play the Russia game. Holland was in a winning mood, we beat France, Italy, Rumania and we’re on our way to the finals… This drama disrupted the flow and must have had an impact mentally and physically on the players. From a psychological perspective, it’s hard to get back into the winning flow after having lost a life. Football wasn’t that important anymore, subconsciously. That and Robben got injured (again) while Van Basten based an important part of his tactics against Russia on him. Oh, I didn’t know that. That’s horrible and explains a lot. There are far more important things than football. The good thing is that they probably no other choice than to go forward relentlessly so probably fun to watch. I disagree, Sneijder and Robben are perfect players to start a quick counter-attack. With 2 defensive midfielders, as long as the fullbacks are not caught out, Holland is actually quite defensively sound. The big names at the front are probably making the back look worse than they actually are. I am totally for playing with the Fab Four. Sneijder and Van der Vaart have demonstrated many times they can play together. Interestingly enough, the comparison with Barca is not too relevant. I mean, the Sneijder/Vaart vs Xavi/Iniesta comparison. I even believe Holland should play with Van Bommel as center back and add Afellay to the mix in holding midfielder position. I’d like to see Holland gamble the farm on this World Cup. No tactical calculations, but firing on all cylinders!! Attack attack attack. And if it slows down: bring Elia! If we’re under pressure: bring Babel! If we need to play hit and run: bring Huntelaar! I think Afellay has shown this season with PSV that he is not a holding midfielder. When the front four lose possesion they take up whichever position they are closest to right? In that case can we expect pretty much every ball forward to be played to feet, or over the top to be run onto? The reason I say this is that such a fluid system would make it hard for a player further back to hit a specific target man if he keeps wandering around. Perhaps the number nine (whoever it is at the time) will be tasked with holding the ball up, heading it on, etc. Can either of the supporting three do this role effectively? Second question. With four attackers who effectively will be doing little defending will the Dutch be looking to play a high defensive line? By doing so they’ll squeeze the space in midfield and help out their two midfielders. Or will they effectively split their team in two, play the back six deep have the front four harass the opposition back line? We will play a high backline. And Van Persie, Kuyt and v/d Vaart are all quite good at holding the ball up. Sneijder is also good at keeping posession. That probably won’t be a real problem. It will be interesting to see if Van Marwijk will switch Sneijder to the left as a backup-plan. Kuyt can then play around Van Persie (or vice versa) and Robben can play on the right. Problem is there won’t be much width on the left, but Holland will have a more direct goalthreat in the center. That makes sense. This team really are asking a lot from Sneijder and those two defensive midfielders! Many thanks for the response. Isn’t it fantastic that we can all come together and talk like this? The Dutch somehow invented ‘total football’ but they cannot do it well themselves. I think I will be rooting for the dutch this year, as they have such an ill squad. but really I’m conflicted because my favorite player of all time, Seedorf, will not be joining them. Royston Drenthe made the mistake of going to Real Madrid as a leftback, though clearly the youngster is a left midfielder. He has extreme stamina and power, but lacks in defensive abilities. His positioning is awfull for a leftback and he is considered to be a worse version of Real’s Marcelo. I wasn’t that impressed by the dutch when England played them last year. From some of their supporters their perfomances in qualifying were disjointed and lackluster. This talk of the fab four sounds a lot like the magic quartet of Brazil in 2006. Individuals over the team. I fully expect them to disappoint again. The fab four could work pretty well, the other six would be defending, not too dissimilar to Inter’s four attacking players.. The defence probably isn’t quite good enough though, as said hundreds of times everywhere on the Internet by now. The home loans suppose to be important for guys, which are willing to organize their own career. As a fact, it is very easy to get a small business loan.